Any legal entity or natural person is entitled to use the radio frequency band which may be used according to the Radio Frequency Allocation Table on the basis of a general license for the use of the radio frequency spectrum in accordance with the conditions of assignment and use defined in the Table and the Ordnance on assignment and use of radio frequency spectrum (OG 45/12 and 50/12). 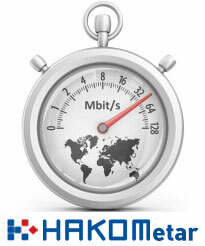 HAKOM shall grant the general licence (Table of granted general licences) for use of the radio frequency spectrum in case of a negligible danger from interference or in harmonised radio frequency bands, in particular for the purpose of implementation of the relevant decisions and recommendations of the European Conference of Postal and Telecommunications Administrations (CEPT) and its bodies, which are accepted in the Republic of Croatia. HAKOM shall grant an individual licence for use of the radio frequency spectrum on the basis of a previously conducted public tender, for the radio frequency band in which, due to limited availability of the radio frequency spectrum, such manner of granting licences has been established in the Radio Frequency Allocation Table. The allocation table defines the procedure of granting licence on the basis of a public tender for radio frequency bands of special importance and for which there is a lot of interest and all interested parties cannot be satisfied due to limited availability of radio frequency spectrum. The procedure of granting the licence shall be initiated by HAKOM ex officio or on the basis of an application for granting the licence. Detailed conditions of assignment and use, selection criteria and the procedure of inviting for tender and carrying out of public tender are defined in the Ordnance on assignment and use of radio frequency spectrum (OG 45/12 and 50/12). HAKOM shall grant individual licence for use of the radio frequency spectrum on the basis of a previously conducted public auction for the radio frequency band in which such manner of granting licences has been established in the Radio Frequency Allocation Table due to the limited availability of radio frequency spectrum. The Radio Frequency Allocation Table defines the procedure of granting the licence on the basis of previously conducted public auction for the radio frequency bands that are of special importance and for which a lot of interest exists and, due to limited availability of radio frequency spectrum, all interested parties could not be satisfied. With this type of granting the licence technological neutrality makes it impossible to define the characteristics of the system to be used with this radio frequency band, so besides meeting other defined criteria defined, the selection criteria shall be the highest offered price. The procedure of granting licences shall be initiated by HAKOM ex officio or on the basis of an application for granting the licence. Detailed conditions of assignment and use, selection criteria and the procedure of inviting for tender and carrying out of public tender are defined in the Ordnance on assignment and use of radio frequency spectrum (OG 45/12 and 50/12). By way of derogation from the allocated radio communications service or technology, or conditions for assignment and use specified in the Radio Frequency Allocation Table and the Ordnance on assignment and use of radio frequency spectrum (OG 45/12 and 50/12), the HAKOM may, on the basis of a submitted application, grant a temporary license for use of the radio frequency spectrum. The temporary license may be issued, for a radio station or a radio system used for the purpose of market or technical inspection, research or design or for the purposes of sports, cultural, entertainment and other events of temporary character. In application for temporary license it is necessary to specify the purpose, technical specifications of a radio station or a radio system, geographical area and time period of use. HAKOM shall specify in the temporary license the appropriate validity thereof as well as the corresponding conditions for the assignment and use of the associated radio frequencies, in particular, for the purpose of protection against interference.